I was so excited when I got the mail yesterday. There was a big box jammed into my mailbox, which is always fun, but I wasn’t expecting any packages. Ooh, a mystery! On the back was a label that it came from The Netherlands. Hmm…what could it be? As it turns out, the wonderful Marjon Donker and Saskia Veltenaar, publishers of the magazine “From Polymer to Art” sent me a care package of goodies. I danced around and squealed like a little girl. Let me tell you why. ****NOTE**** Unfortunately, From Polymer to Art has ceased publication. You can purchase back-issues of the magazine at Happy Things in the Netherlands. A few months ago, Marjon and Saskia asked me to write an article to be translated for a special Dutch-only version of their magazine that would be aimed specifically at polymer clay beginners. (From Polymer to Art is normally published in English.) Happy to help them with the project, I sent the article and some photos. (That same article is available on my website here, btw.) So the package contained my contributor’s copy of the magazine. Yay! It’s gorgeous, and it’s even covered with polka-dots! Inside it’s even better. 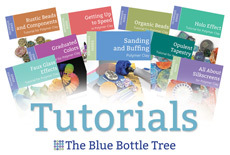 There is page after page of top quality tutorials and demonstrations by world-renowned polymer clay artists such as Lillian de Vries, Bettina Welker, and Fabiola Perez Ajates. From Polymer to Art is always a top-notch magazine, but this issue is really something special. Even if you don’t read Dutch, you will still learn tons from these fabulous artists. I got all proud inside seeing my little article in with all that talent! You can order print or digital copies of all issues here. Thank you so much to Marjon and Saskia for their generosity in publishing my article and sharing the great FIMO loot! I’m forever grateful! 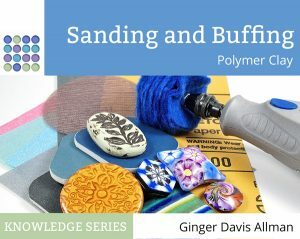 Ginger I am so excited for you and can’t wait for your assessment of the New Fimo Professional, because if Ginger says it so……then it’s so! Blessings to you and family this holiday season. Aw thanks Dixie Ann. I don’t know about that, though. I’m always amazed at how I will be just so darned sure of something and then find out…gee…I am wrong. But I do try to be objective. Blessings to your family as well. It’s a wonderful time of year for blessings. Thanks for your article in the Dutch FPTA!! Of course I already knew your valuable hints and tips, hope they serve a (new) Dutch audience as well! Thank you Di. It is hard to know where to start, but the best thing is there’s really no wrong way to do it. There are no polymer police. If it works, do it! Happy Holidays and Christmas to you too! Thanks for letting us in on you excitement, I can fully relate. I too appreciate all your information that you share, so I can understand their generosity to you. A thankyou sometimes just doesn’t seem to be justice for the hours people like yourself give willing to people like ourselves. Thank you so much for your kind thoughts. It does take a lot of time, yes. But hey…what goes around comes around. Yay! Congrats on the article and on the loot! 🙂 Looking forward to reading your upcoming posts! Hi Ana, Unfortunately, they have ceased publication of that magazine. I will update my article accordingly. If you are interested in purchasing back-issues of the magazine, you can find them at http://www.happythings.eu.